We are excited to announce the launch of a new financial planning calculator for U of T students. The planning calculator is a publicly available tool available to current and prospective undergraduate students. 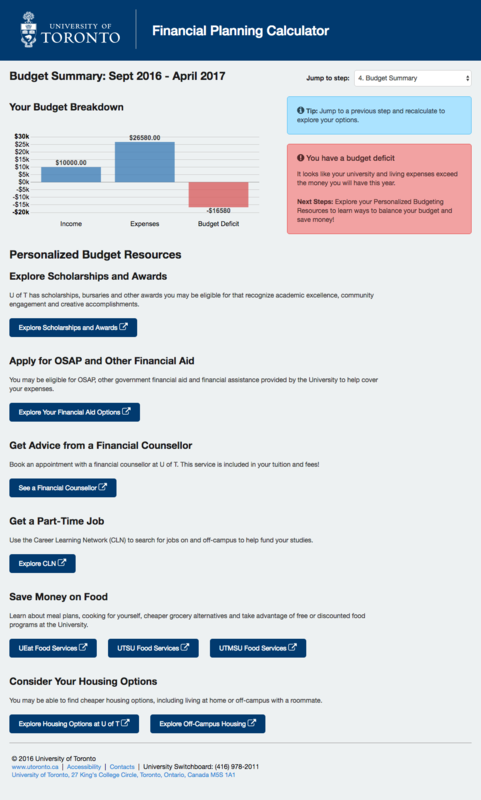 Use it to plan your budget and find out how much it will cost to study at U of T for one academic year.